Brad Jones Racing is the next team to release retro looks for the Wilson Security Sandown 500, with one Supercar paying tribute to the Jones’s rich racing history. 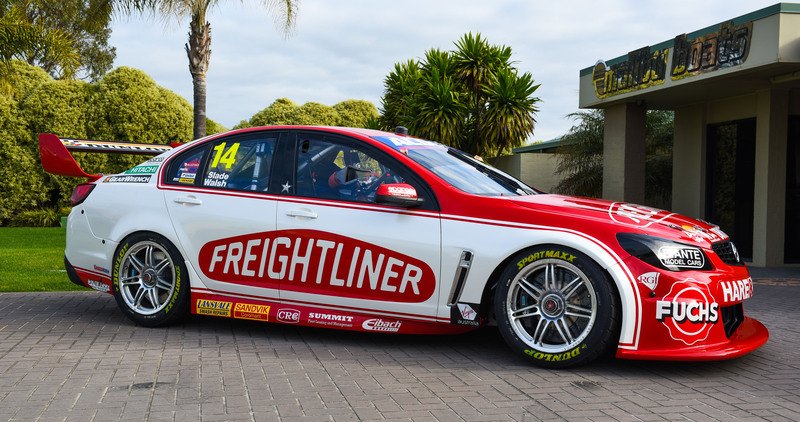 The Freightliner Commodore – to be driven by Tim Slade and Ash Walsh – has a look inspired by the Holden Dealer Team’s 1968 HK Monaro GTS 327 driven to second place at the Bathurst 500 by Jim Palmer and Phil West. Freightliner’s vintage ‘boomerang’ logo, and received a modern upgrade in terms of styling, pinstriping and PPG colours. 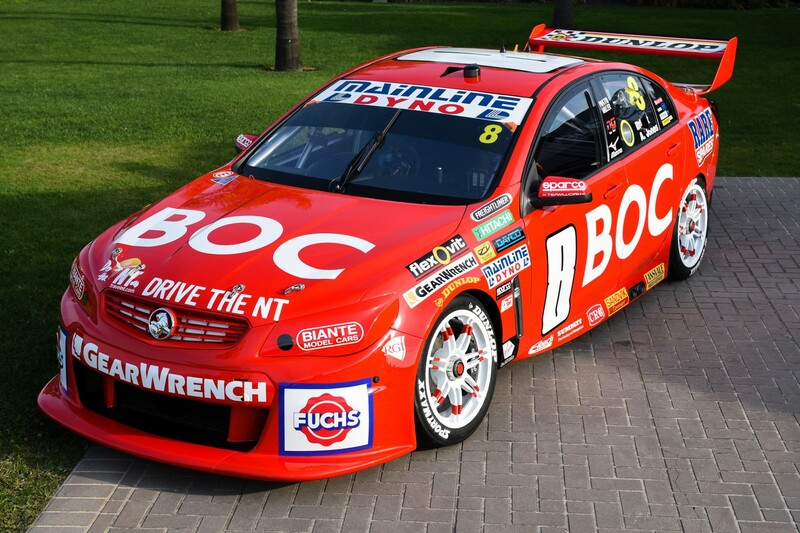 The BOC Commodore – steered by Jason Bright and Andrew Jones – throws to Brad and Kim Jones’ racing history, referencing one of their championship winning AUSCARs. 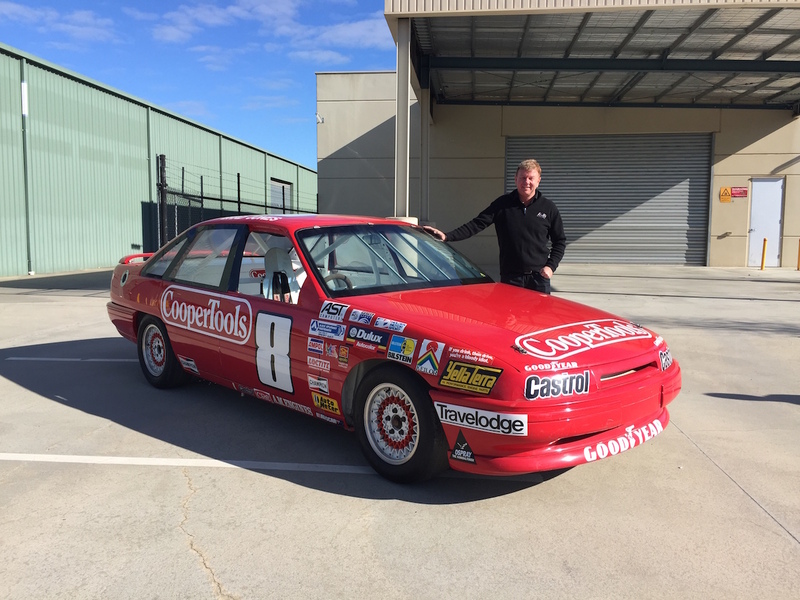 2016 marks 25 years since Brad won the 1991 AUSCAR Championship in the #8 VN Commodore, which was one of his whopping five AUSCAR championship titles, before moving onto NASCAR. “Looking back at our AUSCAR days, it was a great part of our history and really had the heart and soul of Kim and I in it. 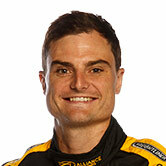 Our Supercars history only dates back to 2001, but we’ve got a proud history in motorsport,” Jones said. The simple design stays true to the original, and retro logos from the team sponsors have been used where possible to make this look even more authentic. The retired AUSCAR, which was used for a number of years at the local Wodonga Motorsport TAFE for safety exercises, has recently relocated to a new home in Melbourne, Karting Madness. Slade is proud to reveal the one-off look on his Commodore, which will be on track today at Winton for the team’s pre-enduro test. “Freightliner have played a big part in our retro livery design, I know a lot of photos were going back and forth to get ideas and inspiration and everyone is really pleased with the result,” Slade said. The Freightliner Racing livery reveal comes on the team's enduro test day, which is being conducted at Winton Motor Raceway today. 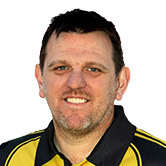 “I’m looking forward to kicking off our endurance cup charge in retro style," Slade said. "With our final test day at Winton today, Ash Walsh is getting in some more laps and we’ll be going through all the usual pre-endurance event preparation. Book your tickets for the Wilson Security Sandown 500 Retro Round at Ticketek.